Join us for an evening in The Skip Garden one of London's quirkiest edible gardens for an evening of vegetarian feasting, maukin making and spell casting. We will be guided through the stories and rituals of Halloween by Nell Aubrey, a Historian of Medicine with pathological interest in all things spooky, having lived in a series of very creepy old houses. Despite studying and teaching at UCL and Oxford she has spent most of her adult life in a Library and has been too busy reading to have a proper career. She started as a Medievalist but has also studied Medical Anthropology and Pharmacology and has branched out to do research into World Mythology and Folklore. 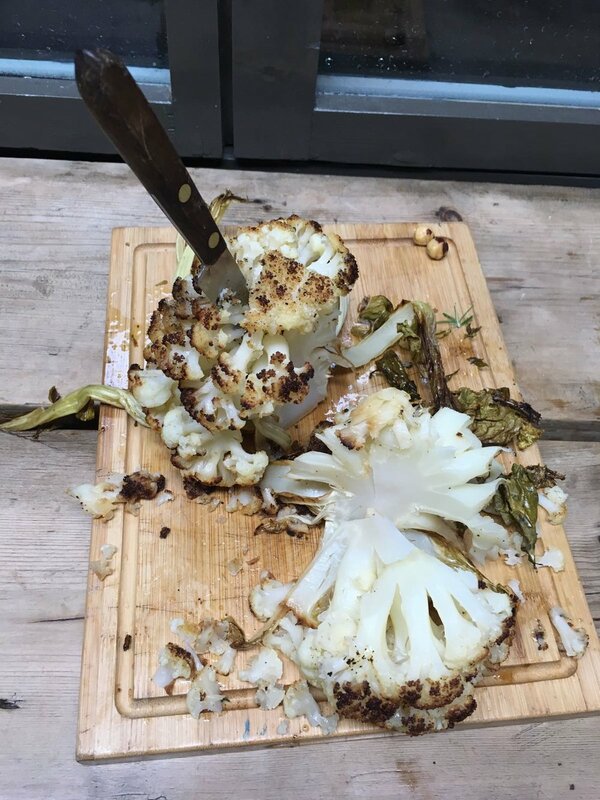 Skip Garden chef Mickey Reedy, who brought you carved cauliflowers and plenty of leeks to keep the marriage going last Valentine's, has this time devised a menu to ward off the evil spirits and appease the dead. All our produce is organic and sourced from sustainable and where possible local suppliers.